Earlier in the year I met the lovely Luc Wiesman from D'Marge, a style blog for stylish men. Even though I am not the target market, I do read lots of the articles posted as they often feature beautiful cars and lots of good looking men looking all brooding and sharp. As we were presenting at the launch of a new men's fragrance, we naturally started talking about what kind of fragrance Luc wears. I mentioned that I do write fragrance articles for various publications and Luc said he would love for me to write something for D'Marge. Of course I was thrilled, and immediately said yes. As we were approaching winter, I suggested the article be about how to chose a fragrance for cooler weather. Most people don't think to change their fragrance with the season, so this was my chance to educate D'Marge readers how to go about it. Here is my first column. Scents and the City. 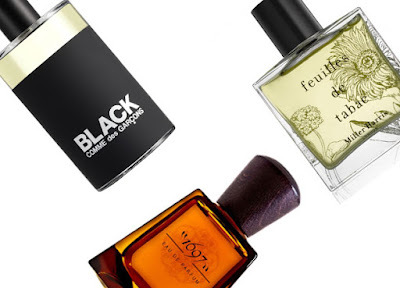 Samantha's Guide to Perfumeries in New York.